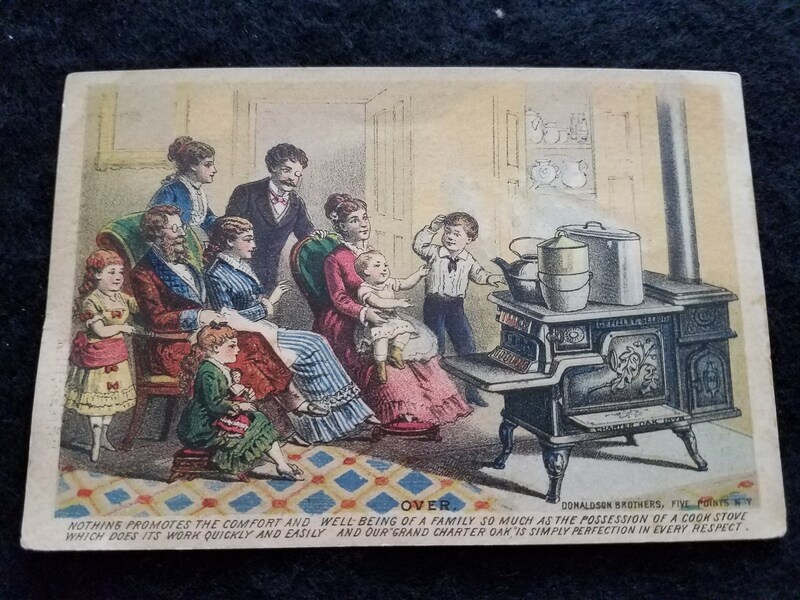 A nice little trade card from 1879 showing the family sitting around the stove to stay warm and cooking on it too. 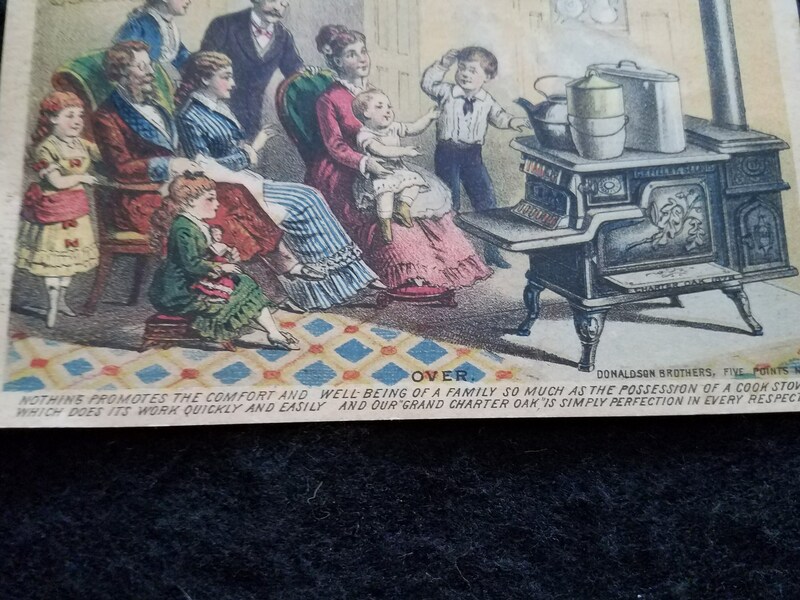 It says at the bottom "Nothing promotes the comfort and well-being of a family so much as the possession of a cook stove which does it's work quickly and easily and our "Grand Charter Oak" is simply perfection in every respect." 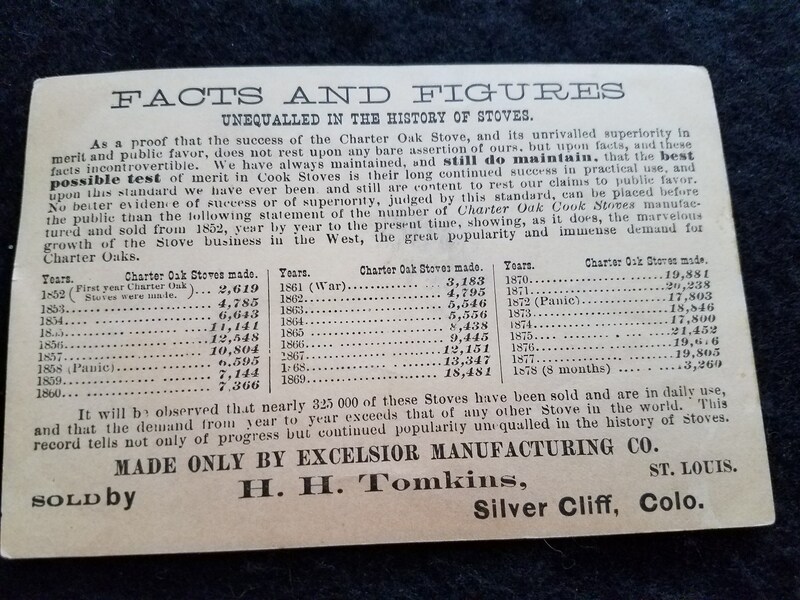 On the other side is the "Facts and Figures" for Charter Oak Stoves showing how many they made from 1852 to 1877. The card is 5 6/16 x 3 1/2" and is in pretty good vintage condition. It has a tiny tear on the bottom, it is yellowed and there is a little spot of color missing on the top left.